is a highly respected food exporting company with its head office in Bangkok, Thailand serving the public sectors worldwide for years which has consequently brought us a good reputation of a very competitive price but high quality products guaranteed in every shipment. has its main products on Agro-Industrial Products. We export a volume of Agro-Industrial Products worldwide every year. As almost all kinds of Canned Foods, Fruits, Foodstuff are produced by our group of companies, we thereby, hold the strengths ability to supply various styles of canned sizes with different packs and tastes to meet individual customers requirement and market needs, various canned size supply and mix foodstuff container loaded, all of which are the key success of the company. consists of highly skilled professionals and experts in food science and technology economics and marketing. Daygusto International has earned its unrivaled reputation in the world’s market as experts in food production and export. With years of experience in dealing business with reputed clients around the world with our reliability and long compromising integrity of our management team. 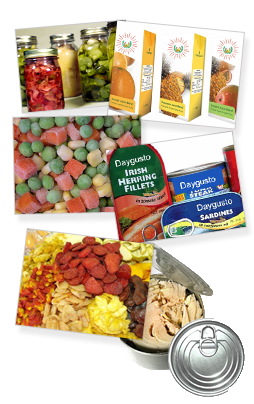 Daygusto International has become a standard of success of Thailand’s Food exporting business for years.